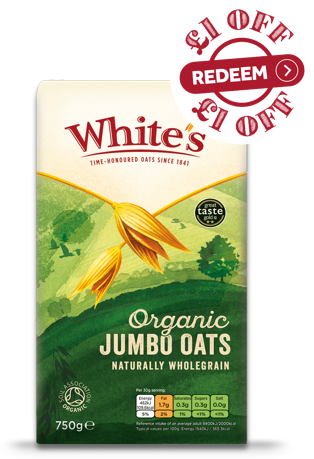 The coupon (when printed) is redeemable against your next purchase of White’s Organic Jumbo Oats 750g. The voucher cannot be used to gain a saving on any other item. The voucher cannot be exchanged in whole or in part for cash and is valid until date specified on the voucher. Standard retailer terms and conditions apply.